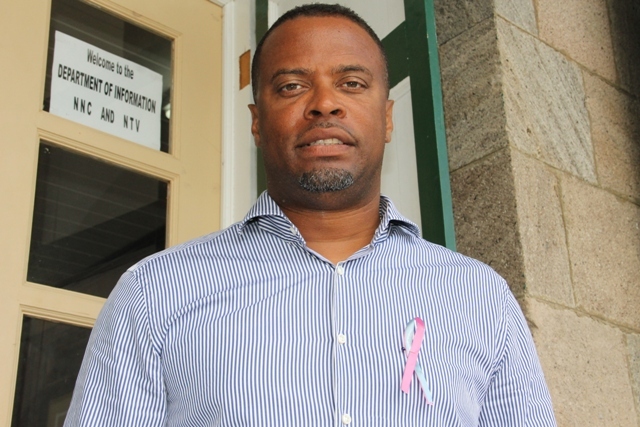 NIA CHARLESTOWN (February 04, 2015) — The following is an address delivered on February 04, 2015, by Minister of Health in the Nevis Island Administration Hon. Mark Brantley, on the occasion of World Cancer Day 2015. World Cancer Day is commemorated on the 4th of February every year. This year’s slogan, “Not beyond us”, reminds us that cancer prevention, care and treatment is not beyond our reach and can be attained by working collectively to address the various challenges that exist which continue to result in the deaths of over 8.2 million people annually. The 2015 campaign will heighten attention in four key areas, namely the adoption of healthy lifestyles, delivering early detection, achieving treatment for all and maximizing quality of life. Cognizant of an average of approximately 20 cases of cancer per year in the years 2012 and 2013 alone, the Ministry of Health has chosen to commemorate World Cancer Day during the entire month of February and thus has, not limited its activities to the 4th of February. Activities will focus on health eating, including a high fibre, low fat, low salt diet which consists of locally grown fruits and vegetables. Additionally, the promotion of physical activity for 30 minutes at least five days per week will also be encouraged. The population of particular focus will be primary school aged children, who will receive cancer education through a variety of strategies, including a food preparation exercise in partnership with the Rouse Foundation and the Ministries of Education and Agriculture. Through its various service delivery centres, the Ministry of Health offers procedures including but not limited to pap smears, colonoscopies, prostate exams, breast examinations and blood pressure and blood sugar screenings that result in the early detection of cancers including breast, cervical and prostate. Health screening services in partnership with various local and international entities will also form a part of this Month’s activities. Treatment services for cancer which include surgery and chemotherapy are available on Nevis. We continue to work with regional and international treatment centres to provide access to services that are not available in the Federation. Beyond geographic access, we are ever mindful of the barrier of financial access and will continue to work towards the attainment of Universal Health Insurance which will remove this impediment. This will allow us to safeguard our most important asset, our people who contribute immensely to the development of our island. We understand the importance of quality of life for persons suffering with cancer, as well as that of their families, friends and caregivers and will continue to provide quality psychosocial support services, while working in partnership with pharmaceutical entities to ensure that palliative care is accessible and affordable to those who need it. Finally, advancements in cancer prevention, care and treatment cannot be successful without the participation of you the people. Participate in the various activities that will be held throughout the Month. Cancer in not beyond us. I challenge you to do your part and put it behind us!